Average draft position fallers usually fall into two categories, injuries and poor performances. But keep your eye on these players, a fall in their draft value could mean bargain pricing and big returns during the regular season. After having an ADP that reached all the way into the second round due to the lack of inspiring options at wide receiver, Josh Gordon has seen a precipitous fall to the 5th round. Gordon has just today reported to camp after receiving treatment for his physical and mental health. Let's hope that he comes back stronger than ever. His ADP will likely start to rise, but if you draft soon, you may get him at a nice discount. There has been a lot of positive hype around Carson Wentz's recovery from his torn ACL, including up-ticks in his velocity and accuracy. But the team's decision to remove him from 11 on 11 drills has cast doubt on his availability for week one. That doubt has dropped him from solidly in the 6th round to trending toward the back half of the seventh. Wentz and the Eagles are still targeting the opening weekend, but he will need reps before he can play. If he is held out the entire preseason, expect his ADP to continue to drop. 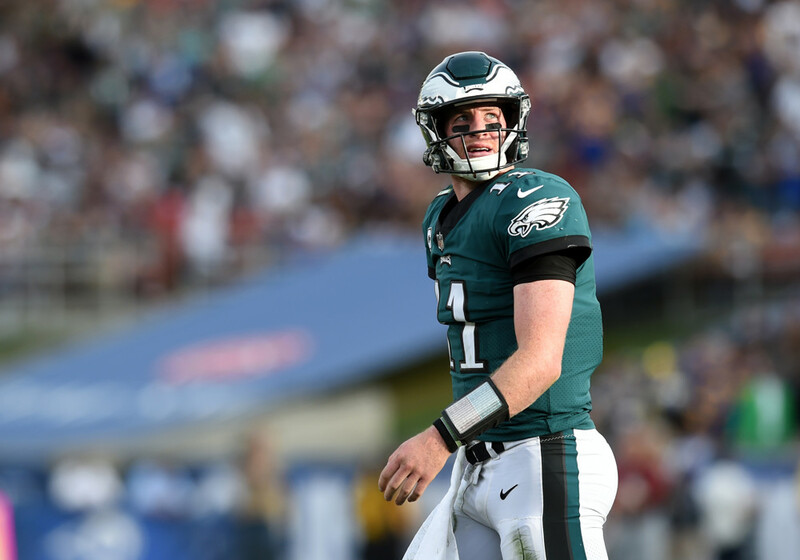 Wentz's teammate Alshon Jeffrey had rotator cuff surgery in February and was put on a six month recovery timeline, meaning his week one status was always in question. But after news leaked that he may remain on the PUP list to start the season (meaning he would first be eligible to play week 7) his value started to tank. Doug Pederson has since disputed those rumors, but owners will think twice about drafting Jeffrey. If you don't mind having some patience, this could pay big dividends. Getting a top 20 wide receiver from last year in the sixth round is excellent value. Nothing like a little overreaction to a pre-season game. Eight carries for nine yards in Ronald Jones' first game will do that.However, Jones' ADP fall is also built on volume concerns in Tampa where Peyton Barber remains atop the depth chart and Charles Sims lurks as a pass catching threat. However, Ronald Jones is by far the most talented running back on the team, so keep an eye on his ADP status. If the uncertainty continues, he could turn into a draft day bargain. Sony Michel has seen one of the biggest drops of any player in fantasy football due to a combination of a knee procedure and a crowded backfield in New England. The knee injury isn't as bad as initially feared, but rookies need reps, and Michel will get very few before the beginning of the season. This is another player that you could stash for future pay off, but with how infuriating the Patriots are with their running back deployment, you may want to stay away all together.